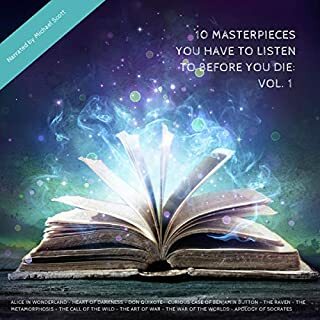 Contents: "Alice in wonderland", "Heart of darkness", "Don Quixote", "Curious case of Benjamin Button", "The Raven", "The metamorphosis", "The call of the wild", "The art of war", "The war of the worlds", "Apology of Socrates". 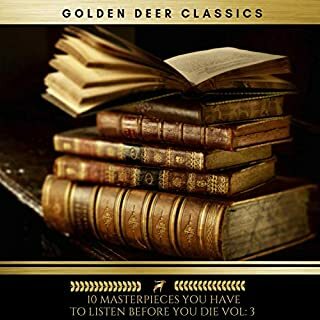 This Audiobook contains the following works: White Fang [Jack London ], Tess of the d'Urbervilles [Thomas Hardy], The Call of Cthulhu [H.P Lovecraft], A Connecticut Yankee in King Arthur's Court [Mark Twain], The Return of Sherlock Holmes [Arthur Conan Doyle], The strange case of Dr Jekyll and Mr Hyde [Robert Louis Stevenson], Crime and Punishment [Fyodor Dostoyevsky], Wuthering Heights [Emily Brontë], A Christmas Carol [Charles Dickens], The jungle book [Rudyard Kipling]. 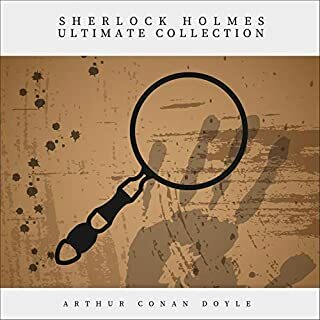 Arthur Conan Doyle's master criminologist Sherlock Holmes continues to delight readers around the world more than a century after he first appeared in print (in 1887's "A Study in Scarlet"). The digital age has only increased his popularity: amid the onslaught of contemporary crime fiction there is something reassuring about the classic one volume set of the complete Sherlock Holmes. In 1914, the war which was to have been wrapped up by Christmas had - in reality - only just begun, as all sides entrenched themselves deeper into the Great War. 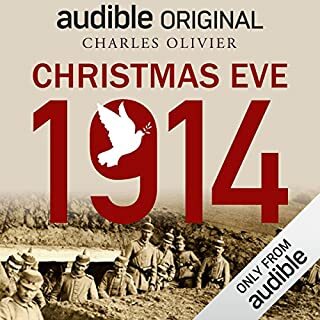 Christmas Eve, 1914 follows one company of British officers as they rotate forward to spend their Christmas on the front lines, a mere 80 yards from the German guns. Upper- and working-class men and boys are thrown together into one trench and struggle to survive. Micah Cole has been in deep space for three years while his parents chase their obsession with finding intelligence to the far corners of the universe, but Micah dreams of the friends he left behind and counts the days until they return home. 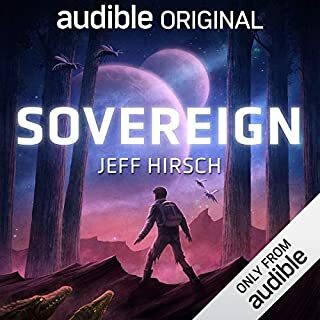 When a devastating meteor shower nearly destroys their ship, Micah is separated from his family and stranded on Sovereign, a vast planet of raging rivers, towering forests, and deadly creatures. If Micah ever wants to see his family or his home again, he’ll have to learn to how to survive on a hostile alien world, all alone. Twelve-year-old Zero is traveling with 20,000 people for 105 years to colonize a new planet. Everyone is in stasis, so they'll be safe during the trip, but when Zero's pod malfunctions it wakes him early, like 105 years early. At first he's excited to be the only one awake - he has the entire ship to himself, so he can go anywhere and see and do and eat anything he wants - but when a family of space pirates show up, trying to hijack the ship and kidnap the colonizers, Zero has to think fast and find a way to stop them all on his own. The Man on the Mountaintop tells the story of Holy Man Joe, an ageing and unassuming man who lives in a hermitage on top of a mountain. During the summer months, thousands of hopefuls line the path leading to his door, seeking his wisdom. From bombastic, wealthy nobles intent on cheating their way to the top to drunkards who gradually build the physical and mental strength they need to quit their addiction, The Man on the Mountaintop is a rousing tale full of humour, wit and life lessons. This is the story of one of the greatest records ever made - Johnny Cash at Folsom Prison - and its shocking and tragic aftermath. Join award-winning journalist Danny Robins on the 50th anniversary of the album as he takes you on a road trip back to 1968, a pivotal year in US history, to investigate the dramatic and unlikely friendship between Johnny Cash, American icon, and Glen Sherley, armed robber and Folsom inmate, and how that friendship was violently torn apart. On Christmas Eve, 1818, in a small Austrian village, a local Catholic priest and a church organist composed a Christmas carol that changed the course of holiday music forever. Exactly two hundred years later, it’s not the holiday season until you’ve heard “Silent Night” in the car, at the store and on TV – all in the same day. In Jingle Bell Pop, John Seabrook, acclaimed author of The Song Machine, takes us deep inside the holiday music business. We go behind the scenes to meet some of the producers, songwriters and recording artists responsible for the timeless tunes we hear on repeat between Thanksgiving and Christmas every year. This book contains the following works arranged alphabetically by authors last names: The Mysterious Mansion [Honoré de Balzac], The Tomb of Heiri [Arthur Christopher Benson], Chickamauga [Ambrose Bierce], An Occurrence at Owl Creek Bridge [Ambrose Bierce], The Death of Halpin Frayser [Ambrose Bierce], A Halloween Wraith [William Black], The Goblin's Collection [Algernon Blackwood], The Wood of the Dead [Algernon Blackwood], Let Loose [Mary Cholmondeley], The Horror of the Heights [Arthur Conan Doyle], The Lift [Arthur Conan Doyle]. Paris, 1893. Twenty-five-year-old Marie Sklodowska is studying science at the Sorbonne - one of the only universities in the world that has begun to admit women. A thousand miles from her native Poland, with no money and the odds stacked against any woman daring to pursue a career in such a rigorous field, Marie throws herself into her studies. She's certain that to succeed in a man's world, she will have to go it alone. Her meticulous plans get thrown slightly off-course when Marie attracts the attention of an accomplished young physicist, himself on the precipice of greatness. Maeve Merritt chafes at the rigid rules at her London boarding school for “Upright Young Ladies.” When punishment forces her to sort through the trash, she finds a sardine tin that houses a foul-tempered djinni with no intention of submitting to a schoolgirl as his master. Soon an orphan boy from the charitable home next door, a mysterious tall man in ginger whiskers, a disgruntled school worker, and a take-no-prisoners business tycoon are in hot pursuit of Maeve and her magical discovery. A Signature Performance: Tim Curry rescues Charles Dickens from the jaws of Disney with his one-of-a-kind performance of the treasured classic. Our listeners loved this version so much that it inspired our whole line of Signature Classics. Tales of Mowgli, the boy raised by animals in the exotic jungles of India; Rikkitikkitavi, a courageous young mongoose who battles the sinister black cobra Nag; Toomai, the boy who works with elephants; and more will delight listeners both young and old. 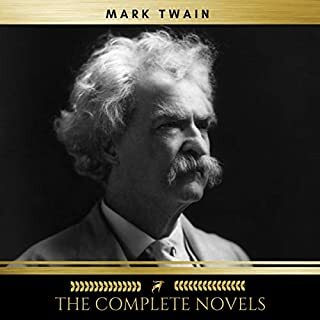 These classic stories brim with adventure and thrills as the lively characters fend off ferocious tigers and deadly snakes, slip through the jungle to watch elephants dance, and seek refuge from dangerous hunters. Power is changing. Private corner offices and management by decree are out, as is unquestioned trust in the government and media. These former pillars of traditional power have been replaced by networks of informed citizens who collectively wield more power over their personal lives, employers, and worlds than ever before. So how do you navigate this new landscape and come out on top? Adam Grant, Wharton organizational psychologist, went to the World Economic Forum in Davos, the epicenter of power, and sat down with thought leaders from around the world, to find out. Rascal Flatts performs a famous Christmas poem for patients at a Nashville children's hospital - and the result is pure magic. For over a decade, country music superstars Rascal Flatts have built a special relationship with the kids at Monroe Carell Jr. Children's Hospital at Vanderbilt through annual performances and fund-raisers. In 2018 they poured their hearts into a reading of Clement C. Moore's iconic holiday classic "A Visit from St. Nicholas" for their most cherished audience. 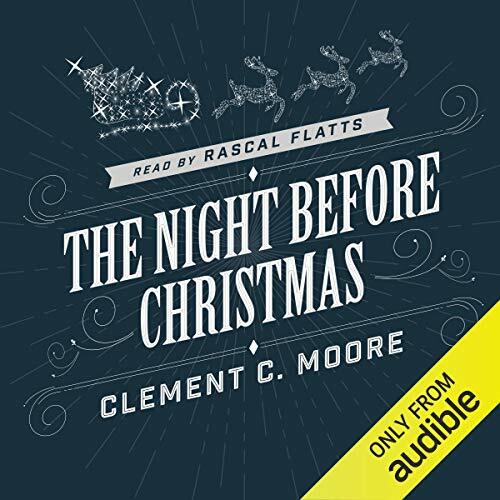 The Night Before Christmas audiobook builds on that performance to spread holiday cheer beyond Nashville, as an accompaniment to yuletide festivities anywhere or as the perfect story to encourage "visions of sugar-plums" (a quote from the poem!) at bedtime. If you've ever quizzed your family and friends about the names of Santa's reindeer, you were quoting from "A Visit from St. Nicholas", and you haven't heard the phrase "bowlful of jelly" until you've heard it from Gary, Joe Don, and Jay! Their funny and tender voices will inspire people to believe in the healing power of art at Christmas and throughout the year. Public Domain (P)2018 Audible, Inc. I appreciated this audio, but basically being unfamiliar with the performers, it was just a basic reading of the text. The description of the hospital and so on made me think that we were going to get some more back story here. I was happy to listen as a part of our Christmas eve, but there's no additional content to the audio. "The Night Before Christmas" is a lovely classical tale of one little boy who wakes up in the middle of the night on Christmas Eve to witness Santa Claus going about his work. It is a charming story, but it isn't very long. I got this Audible performance for free for being a member, and I would never recommend paying for this 3 minute reading by Rascal Flatts. Simply put, it's just a bad performance. At 1 min 44 sec in, and then again at 2 min 47 sec in, the undulations of Rascal Flatts' voice clearly change, indicating that he had to do this 3 min story in 3 different takes, thus contributing to its poor production quality. Furthermore, he just doesn't have a good narrating voice. Just stay in your lane and stick to singing please. I wouldn't recommend this to anyone. If you want to share the Christmas spirit with your kids, just read this to them yourself, and they will like you all the better for it. And I'm 100% certain you can find a better performed narration on YouTube, if all else fails. Thanks for the great reading! The kids loved it and it was nice to hear someone else read it after I've read it to them so many times! The story itself needs no review, it's timeliness. I did not expect the reader (or readers?) though, and did not feel it was a good fit. I looked the name up later and assume Audible did it for some celebrity value. Ah well, couldn't really affect something so classic anywho. Thank you for making. Great for the Christmas season. Thank you for making the recording. This was the first story I read all by myself when I was a toddler. That being said, my two year old self would have done better, but free is free. The narrator reads it fast, stopping and jerking through a four minute story and his voice pitch changes at least twice. As a previous reviewer said it would be best if you read it to your own children yourself. Or if the child is like me (at that age) and wants to read a Christmas tale in the middle of August and you don't wish to read it, this will suffice until the holiday spirit moves you. I gave it an extra star for being a holiday favorite and I like Rascal Flatts...for singing only, please. I don't think the way the book was read, was appropriate. It was read more like poetry, with short, clipped lines, than as the story I was expecting to hear. It must be a southern thang. Good gracious! The mispronounciations , alone, were quite a distraction. This is definitely NOT the version we grew up with and have memorized, verbatim! Tone and inflection are odd. A sad rendition of a beloved classic. Mr. Scruggs, please stick to singing. This was a free download at Christmas, which I chose for my children, due to their intense excitement and love of reading the book with me. Turning the light off, putting this on and letting it play out works very well the settle them. Tip, I found playing it slightly slower worked well. The ebulliently named Rascal Flatts reads it well, with good animation, although it feels a little fast (hence suggestion above to slow it down slightly). Some may dislike the soft American reading, but that's personal preference. Watch out for the 'Audible hopes you have enjoyed this programme' at the end - Audible PLEASE can you remove (or replace with a quieter version) this from children's titles and any sleep related titles? A classic Christmas poem read by so well the boys from Rascal Flatts. I loved it!